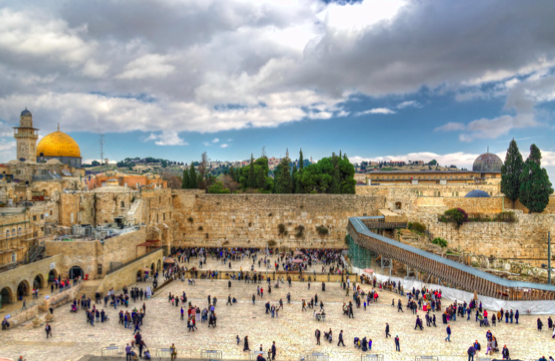 Kesser Torah College | KTC going to Israel! 29 Aug KTC going to Israel! After many months of discussions and negotiations, we are delighted to announce that Kesser Torah College will be taking about 40 students on a unique KTC Israel Experience. Over the course of a five-week experience in Israel, students will be engaged in a programme which has been specifically designed for our College to cater for our unique curriculum and ethos. We are very grateful to Y2i (Youth 2 Israel) for their incredible support of this programme. Indeed, we are also very humbled by the incredible support of many generous people who helped subsidise those students who needed extra funding to get them to Israel. I remain committed to the belief that Israel is one of the most effective “Jewish Studies Classrooms” we can offer our children. It is here they will see the texts they study come alive; it is in Israel that they will understand the unique locations and historical significance of the various sites and places they will visit – giving them context to the theoretical, historical, geographical and textual studies that engage them in their Jewish Studies classrooms. It is in Israel that they will see the unique interplay between Am Yisrael; Torat Yisrael and Eretz Yisrael, and how all three aspects come alive. For many, this will be their first encounter with Israel; for others, a re-visit – but with a difference: We have constructed a programme that will immerse our students in the “spirituality” of Israel and have deliberately chosen a programme that is designed to enhance their Limudei Kodesh in a meaningful, relevant and experiential way. Of course, we have interspersed their five weeks with some of the more traditional “fun” moments, but for the most part, this will be a journey of self-discovery as they strengthen their bond with their roots and their destiny both as Jews and as people.